Godavari Pushkaram is a holy river festival being celebrated once in every 12 years. 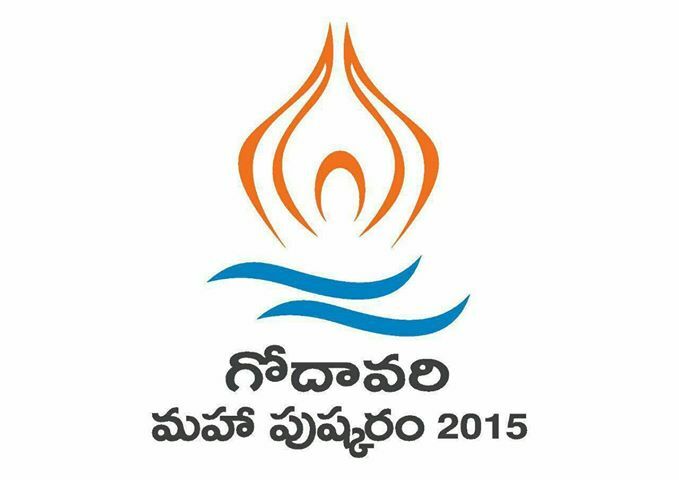 The 12 day Godavari River pushkarams celebration begins from 14 July, 2015(Tuesday) to 25 July, 2015(Saturday). For once in 12 years Godavari Pushkaralu takes place when the transition of the planet Bruhaspati(Jupiter) into Simha Rasi(LEO). This time, the Pushkara festival of river Godavari begins on Adika Ashada Bahula Shasti July 14, 2015 at 7:34AM. There are many temples and sacred places are situated on the banks of River Godavari. The river Godavari takes birth at Brahmagiri Mountain in Triambakeswaram of Nasik district, Maharastra. It is the second largest river after the river Ganga(Ganges). It travels from west to east for 1470km through 3 states(Maharastra, Telangana and Andhrapradesh) and emptied into Bay of Bengal at Antarvedi in East Godavai district of Andhrapradesh. 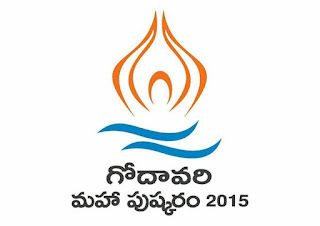 Godavari Pushkaram will be conducted in a grand way in both the states of Telangana and AndhraPradesh. It is expected 4-5crore devotees take a holy bath in the river Godavari during "Godavari Pushkaralu 2015"
The word "Pushkara" is derived from Sanskrit language as "Push" means 'nourishment' and "Kara" means 'One who does it'. Puskkara means One who purifies rivers and provides spiritual energy in them. The term "Pushkara" is also known as "Pushkaram" or "Pushkar" or "Pushkaralu". According to the Hindu Mythology, on this auspicious date and time all gods and also Pushakara take a dip in the river of Godavari. The first 12 days are called as "Adi Puskkaram". The Hindus believe that all the sins will be lost by taking holy bath in the Godavari river during the first 12 days auspicious period. The last 12 days of Pushkar Festival are called "Anthya Pushkaram".